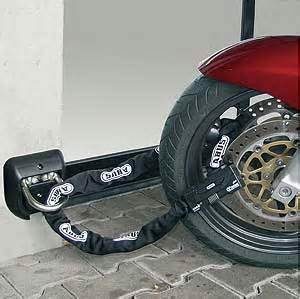 Is your motorcycle an easy and attractive target for motorcycle thieves? Did you know that experienced thieves can steal a motorcycle in a matter of seconds, to be shipped overseas for resale or stripped of its parts for fast cash? Did you also know that Florida has one of the highest rates of motorcycle theft in the country? Use your common sense and keep aware of your surroundings. Park your bike in a locked garage or in a well-lighted area within view of a security camera whenever possible. Always lock the ignition and steering system. Take both the key and the main fuse with you. Check your motorcycle frequently, especially at public events, and watch for suspicious people hanging around your bike. Install a hidden or spring-loaded switch that you have to press to get the bike to start. Use brightly colored locks on your bike’s forks and disk brakes and chain your bike to an immovable object or to a group of bikes. Install an audible alarm and/or a hidden “kill” switch. Invest in a recovery system (such as LoJack). Don’t keep your title in your storage compartment, tank bag or saddlebag. Keep detailed records and photos and give your bike unique markings that you can describe and identify. 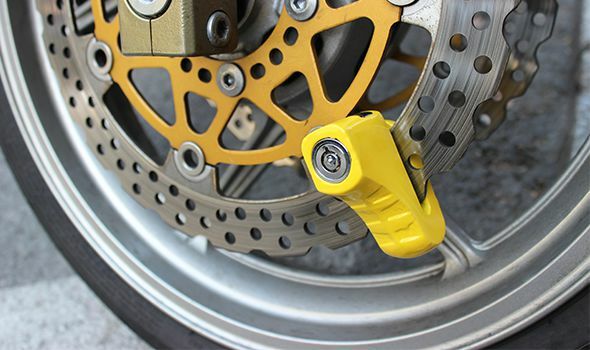 Purchase motorcycle parts and accessories only from reputable sellers and, should you become aware of any criminal activity, report it to your local police or sheriff’s office. Take advantage of online registries. One such registry is stolenmotorcycleregistry.com, which is a free website for registering and tracking stolen motorcycles. We recommend that you create layers of protection by using a variety of security measures. In addition to making your bike harder to steal, your insurance company may give you certain insurance rate discounts. This information is being brought to you by the motorcycle attorneys at Heintz & Becker who care about the safety of motorcycle riders both on and off the road. If you need an experienced motorcycle attorney, call us anytime at 941-748-2916. Our phone lines are open 24 hours a day, every day of the year.